I upload my background image in the folder "images" of my website. In Template manager, go to the section "general" and choose this background image (second option). Look the section "Slideshow" if you want display a slideshow. You can access to the template manager with the top menu : "Extensions --> Template Manager --> joomspirit_132 "
With "joomspirit_132" template, you can set a lot of parameters. All the details here. It's the simplest and fastest way. 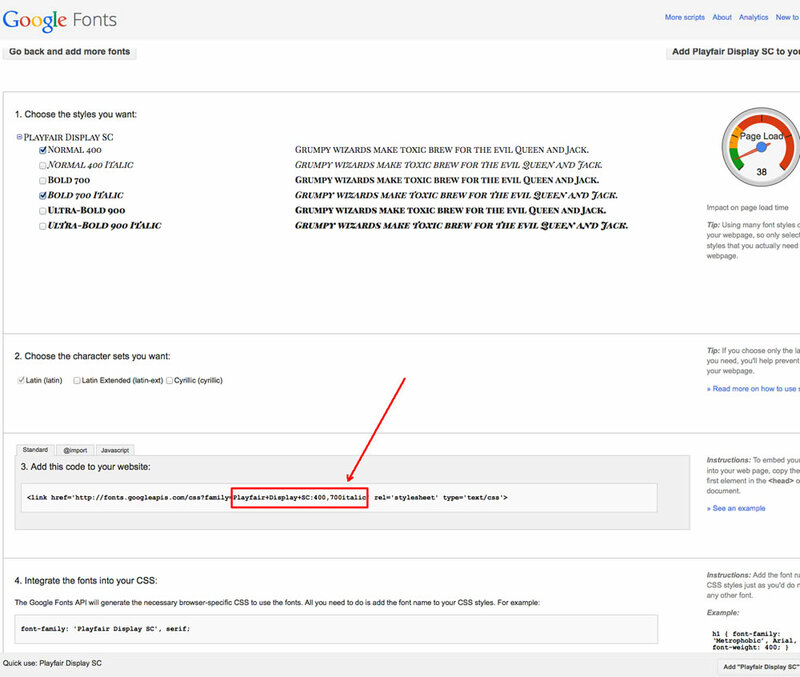 You must upload your background image in the folder "images" of your website. Then, go to the Template manager (section "General") and select your background image. The content box will be under the background image in small screen (less than 980 pixels). With the next options, you can choose the height of the background image (when the content box is under the background image). If you want display a slideshow, I recommend you to install my free responsive slideshow and use the module position "image". How can I adjust the height of the slideshow ? The options inside the slideshow module to change the height are disabled with this template. You must use the options in Template manager, section "General". Here, you can choose when the slideshow will be under the Content box and its height. Most important, you can choose when the Left, Right and Users modules position will be displayed inline. 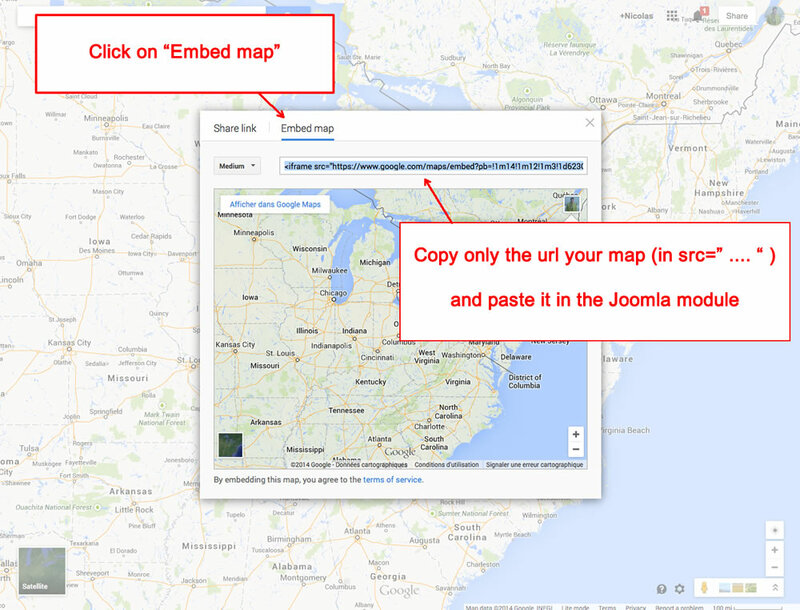 The video module must be above the Content box and use the same psotion as the Standard image. So go to the Template manager and "Duplicate" the template. Edit the copy and choose the menu item of your video in the section "Menu assignment". Then, in the section "General" choose "Image --> Position of your image in large screen" : "On the Top". Like that, the position of your video will be correct (above the Content box). 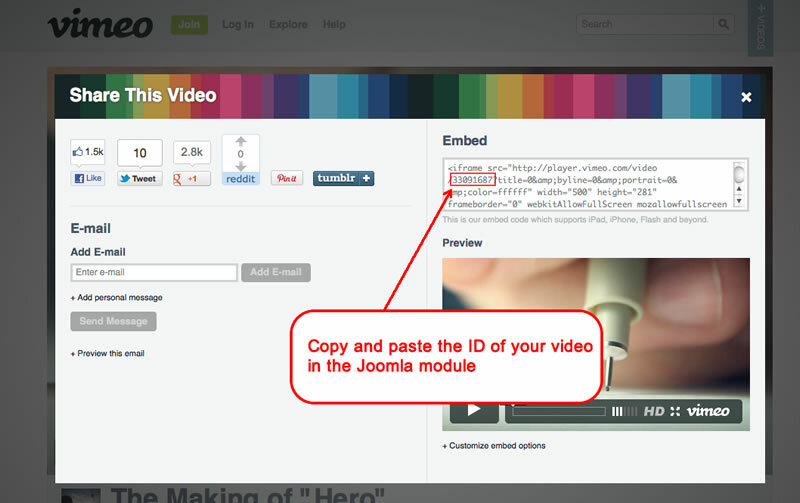 Edit the module "video" on your admin and choose the position "image". 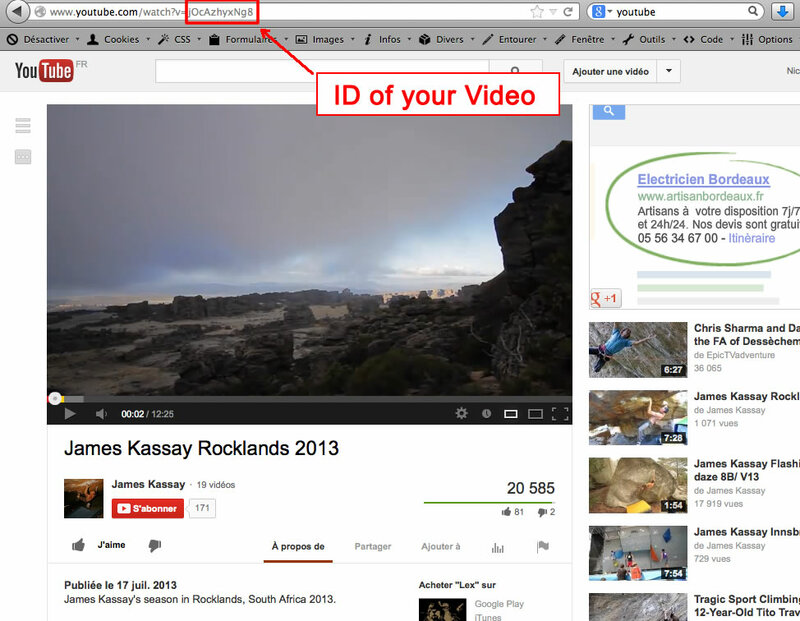 Paste the video ID in the parameters on the right side. 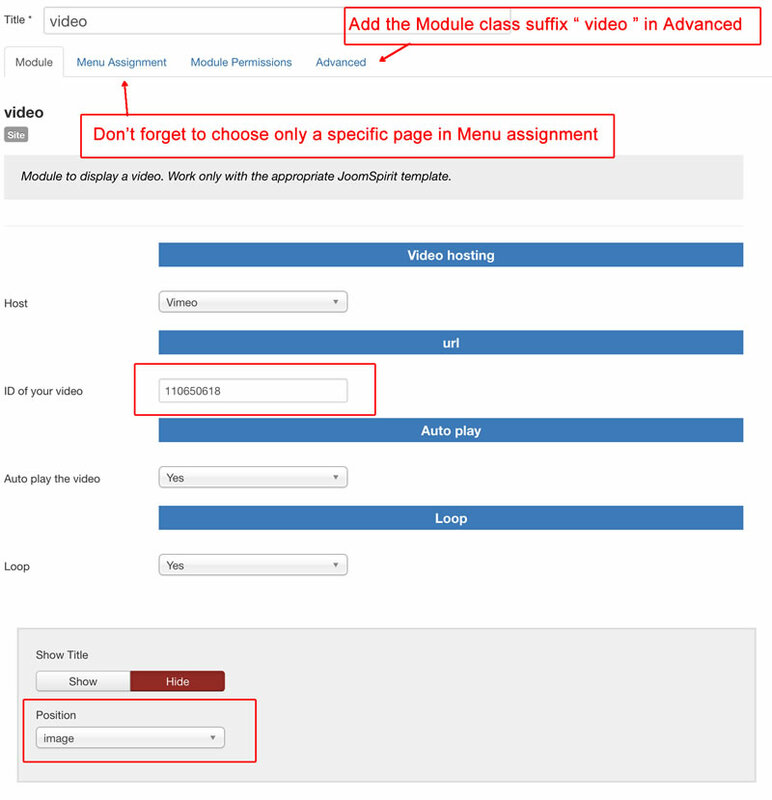 Important : in "Advanced options", add the Module class suffix " video ". It's important to obtain the format 16/9. Step 3 (Optionnal) : Is it possible to display the Video without the Content box ? First you must create a link for your page. 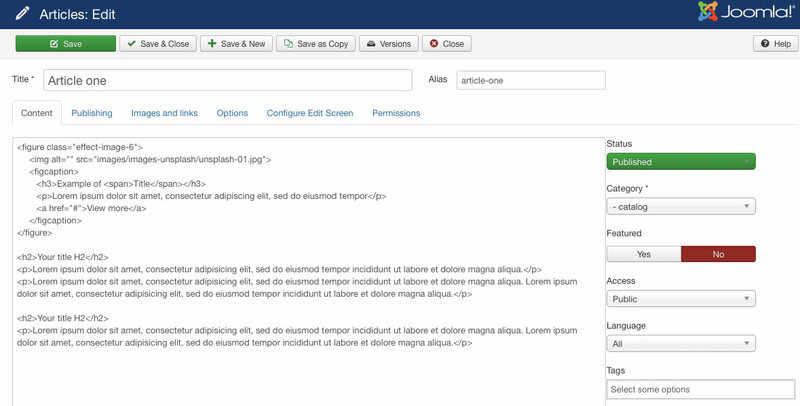 In "Article manager", create a new article and keep the content empty. 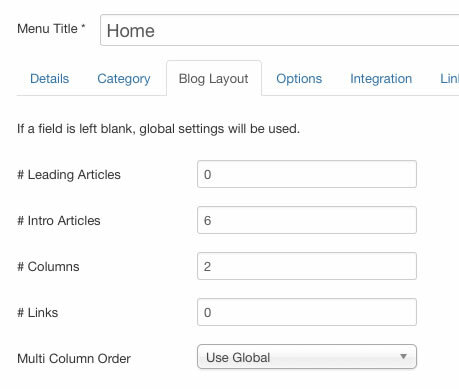 Then, you create a new menu item with the type "article --> single article" and select your empty article. Now you have your new menu item and your new page but you want hide the Content box. 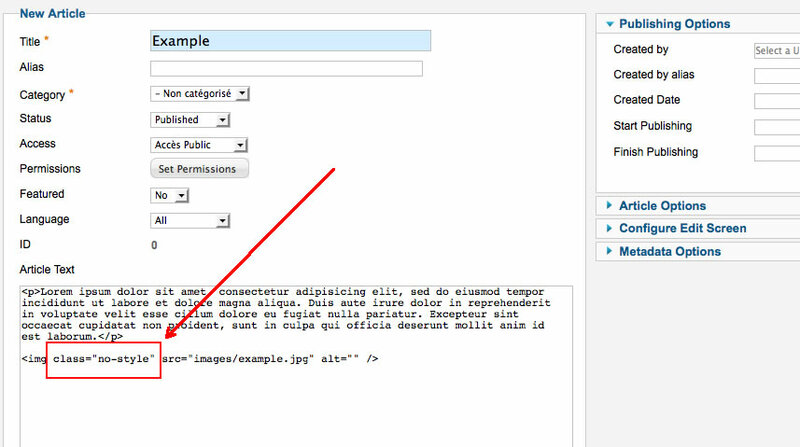 In Module manager, you create a new module with the type Custom HTML. 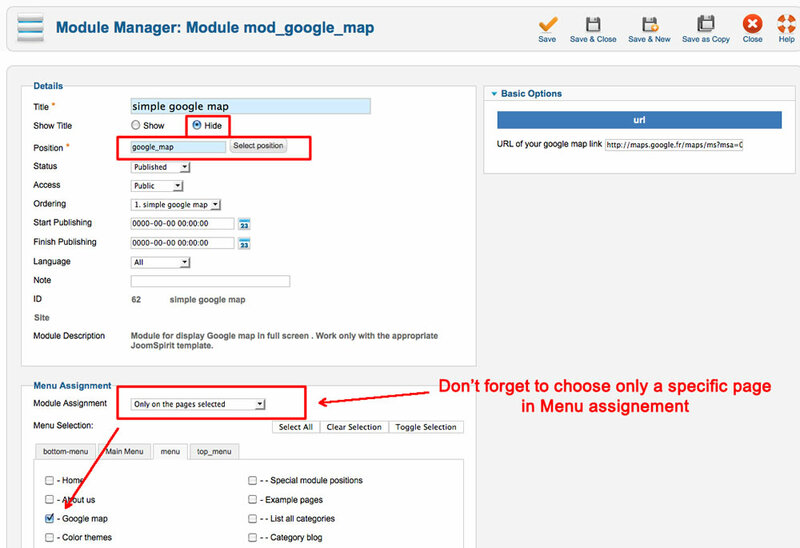 Choose the position "no_content" and in menu assignment, choose "only your new menu item". It's very important because when this module position is published, the content box isn't loaded. 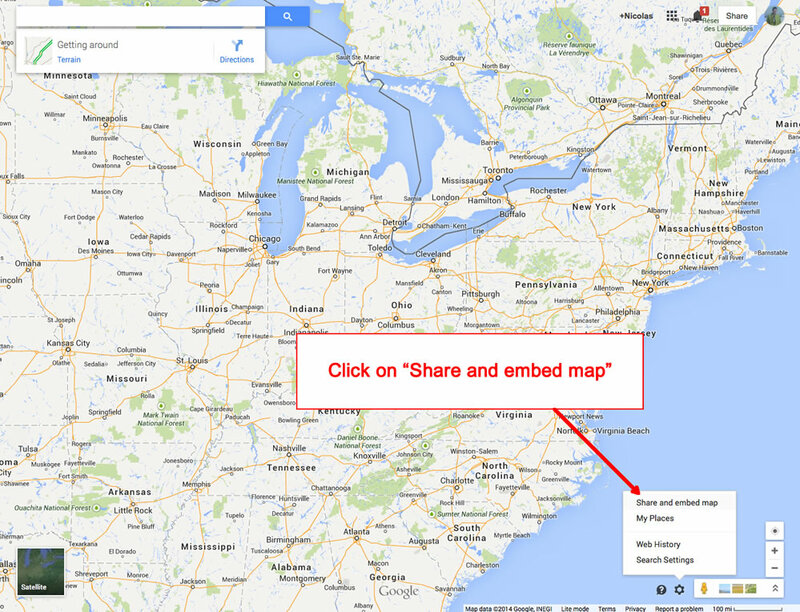 Tip : (no content box) I want display only the slideshow or a video like here? In this page, the Content box isn't loaded.